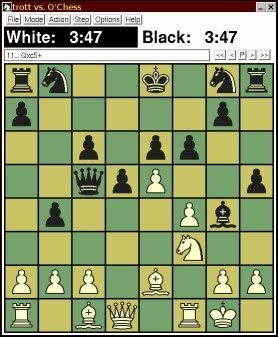 About: O'Chess is a simple complete chess program written in O'Caml. Amateur playing strength. If you are looking for a very strong opponent, look elsewhere. Send comments to Oleg Trott.